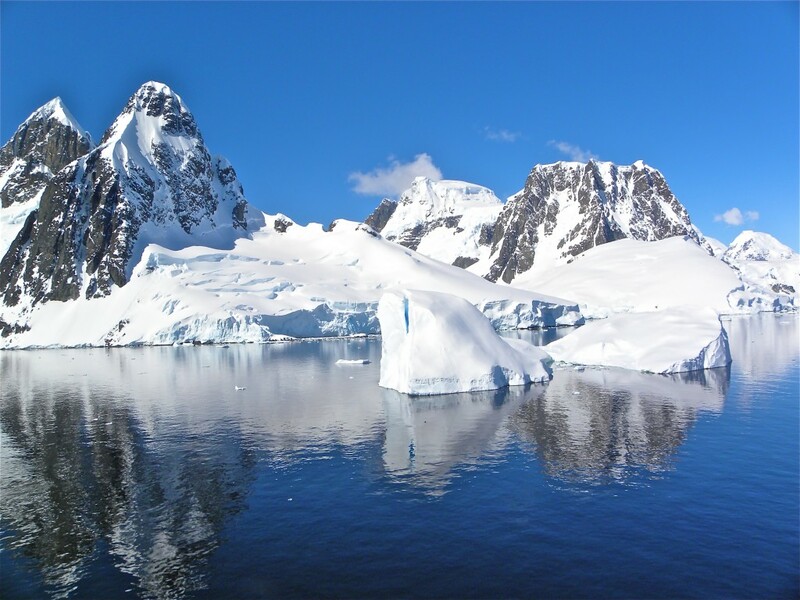 The Antarctic Peninsula — Exactly 22 hours after leaving Ushuaia, Argentina, which calls itself ”the end of the world”, the expedition ship Fram reached the Southern Ocean, which circles Antarctica — the real end of the world. The captain’s P.A. announcement interrupted the lecture on that frozen continent’s ecology, but the passengers cheered the news. We were little more than halfway to our first trip ashore. That meant we might be facing another night and day like the first one — grabbing for corridor handrails or the backs of chairs to brace against the exaggerated rolling of the ship in what can be the planet’s most hostile 600 miles of sea. Passengers had to stay at least 5 yards from the penguins, who do not fear humans. But our progress also meant we were that much closer to a continent so massive that if you put the United States on top of Antarctica, there would be more than a million and a half square miles uncovered. Meanwhile, the U.S. would be sitting on ice more than a mile and a half thick. We’d be landing in early summer — when the temperature would climb to freezing only one of our four days there. Our patience was tested the next morning while still approaching: The ship motored into a mini-blizzard whose tiny snowflakes turned to sleet so thick the Fram seemed fogbound. The deck became slippery with snow. We found ourselves under a brilliant blue sky in a majestic land, its horizons defined by mountains and perennial winter. All around us were huge granite peaks whose jagged outlines were softened by thick coats of snowdrift. Icebergs glistened pearly white or an eerie neon turquoise, or both. Irregular clangs and chungs sounded throughout the 373-foot-long ship as its hull plowed through drift ice, remnants of building-sized icebergs still within view. We could see penguins leaping above the surface of the clear sea for fractions of a second before darting ahead, underwater. The eight-day voyage had become an expedition. And on expeditions there are often surprises. “All stated times and activities are changeable due to weather conditions, or other circumstances out of our control,” the daily agenda reminded passengers. ”Well, this is what happens when a 500-meter-wide iceberg enters a 550-meter-wide channel. We cannot send in the little boats because they must always be near the big ship. But the next morning the iceberg had not moved on, thus canceling one of two scheduled landings on Day Six, a day that dawned as bleak as our collective mood became. On expeditions, however, surprises happen. She wasn’t joking. On the voyage preceding ours, those passengers had had only two hours of sunlight during their four days of landings. But on this, our sunny third day, in place of the cancelled small-boat cruise of the 7-mile-long Lemaire Channel, everyone could get a sightseeing trip in the craft among icebergs large and small. A favorite image: a single Gentoo penguin on a sizable but flat-topped ‘berg floating near the Fram. Although we had already viewed, photographed and video’ed thousands of the little critters in our previous landings, just one Gentoo at sea was special. When two boats had stopped for photos, then left, this penguin had wandered in their direction and dove into the water. Was it trying to follow the boats? Not likely: Penguins are seabirds, meaning they come to land only to breed, so this one most likely had just been resting while looking for a meal. Weather conditions changed rapidly, from landing to landing. Too many layers, combined with an uphill climb, could make your eyeglasses fog over and the layers closest to the skin get soaked with sweat from excess body heat. Too few layers and the strong wind could easily cut through the Teflon-coated nylon parka each passenger was given. But Antarctica challenged us with more than icy conditions. On most of the landings, every step on the snow could mean sinking to your knee. This despite the fact that the expedition team of naturalists, geologists, ornithologists and biologists were dispatched to a landing site before the passengers, to mark safe places to walk. 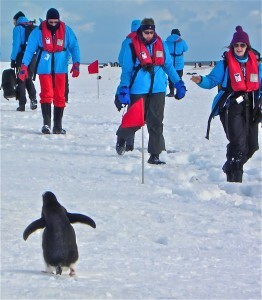 Because Antarctica wildlife is protected against harm, passengers were repeatedly told to keep at least five meters (almost 16 feet) away from the penguins and their ”highways” — the narrow paths they created as they waddled between nest and sea, to eat. Penguins won’t nest directly on snow, lest that cold prevent their eggs from hatching. Instead, the mature birds will even climb steep hills to find bare rock on which to create their nests. Many nations maintain research stations on Antarctica; these locals stand guard by the Union Jack at Port Fitzroy. The construction materials are pebbles and small rocks the male carries, one at a time, in his beak. The guy with the coolest rock nest gets the girl. After she lays an egg, they take turns sitting on it, while the other penguin goes to the sea to feed. The nesting penguin must guard the egg from the attacks of a chicken-sized bird named the skua. If they get the chance, skuas will peck at and break the egg, slurping up the contents. The penguins have no defense other than to continually stay atop the egg. Once the chicks hatch, usually starting in January, the skuas will try to kill and chew on them – a scene the Fram passengers did not witness but which was clear in the BBC’s Frozen Planet series, which was looping on our cabin TVs. Something they don’t mention in those wildlife documentaries is that cute as penguins are, their rookeries, or nesting colonies, stink. Nope, no other word for the smell. The penguins’ chief food is tiny creature named krill. But penguins only partially digest the krill and then poop where ever they happen to be. During breeding and chick-rearing times, the penguins spend most of their time in the rookeries. That ammonia/rotten-fish smell is another instance when Antarctica will take your breath away. But deep snow to trudge, hills to climb, the stench — I even got dive-bombed by a skua being chased by another — are just annoyances compared to the excitement of being near the rookeries. Just watching the penguins waddle along from side to side, or slide on their bellies down hills, or hop over some impediment bring smiles from everyone. Originally, I didn’t think our time ashore would be so rewarding. On the first landing, the 32-mph wind dropped the wind-chill to minus 28, or 60 degrees below freezing. Dense clouds hid the sun. On the days when the weather and landscape was most challenging, or when we plowed through 30-foot waves, I would feel embarrassed to step into either of the Fram’s elevators. In the photographs, each man looked out with weather-worn faces and hard eyes. I felt they were challenging me for daring to come to Antarctica in so much comfort. Those men, and other European and American explorers of more than a century earlier, came in too-fragile sailing ships, wearing animal skins over woolen clothes, without my ship’s redundant engines, and satellite links, without at least three hot entrees at every meal, without hot showers. Those explorers were more than just courageous and hearty souls – they were risking their lives. And many of them lost that gamble. 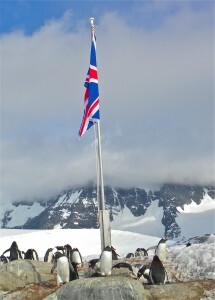 So, finally, I felt privileged to have barely sampled what they had chosen to endure for months on Antarctica. Its magnificence does that to you. Freelance writer Robert N. Jenkins is former travel editor of the Tampa Bay (formerly St. Petersburg) Times. His new e-book is End Bag, available at Amazon, Smashwords, Sony and other sites.